Scorching summer heat has sent more than 70,000 people to hospitals across the country over the last three months, far exceeding the previous annual record set in 2013, government data showed Tuesday. A total of 71,266 people were rushed to hospitals for suspected heatstroke or heat exhaustion between April 30 and Aug. 5, with 138 people dying from heat-related illnesses, according to the data from the Fire and Disaster Management Agency. The tally has already outstripped the previous all-time high of 58,729, registered between June 1 and Sept. 30 in 2013, with the scorching heat having raised the mercury to unprecedented levels in many areas. The temperature rose to 41 C in the city of Gero, Gifu Prefecture, on Monday, to log the country’s second-highest temperature on record. 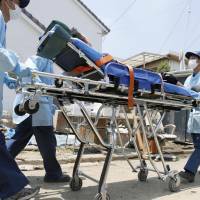 Tokyo saw the highest number of people taken to hospitals, at 5,994, followed by 5,272 in Osaka and 5,195 in Aichi prefectures. Of the 71,266 people, 1,651 were severely sick and hospitalized for more than three weeks, according to the data. 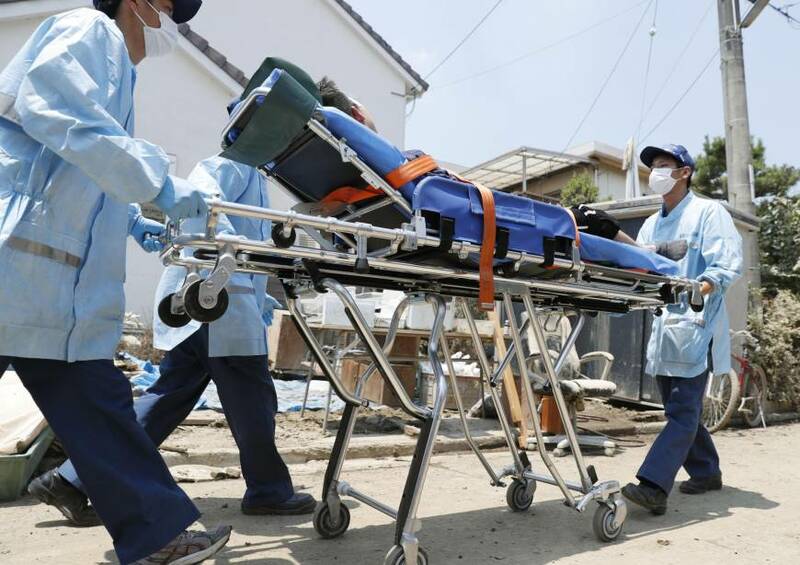 About 40 percent, or 29,070 people, were taken to hospitals from their homes, while 5,068 people fell ill at educational facilities, including elementary schools and kindergartens. Elderly people accounted for 48.2 percent of the total. Over the week to Sunday, 13,575 people were rushed to hospitals and 13 of them died, the data showed. The disaster management agency expects the heat to continue and warned the public to take preventive measures, such as drinking plenty of water and using air conditioners. The education ministry issued an advisory Tuesday asking local officials across the country to consider extending this year’s summer holiday to protect students from heatstroke. Most schools are closed for summer vacation until late August. The ministry said a shorter winter vacation and Saturday classes could help make up for lost class time in the event of an extended summer break.